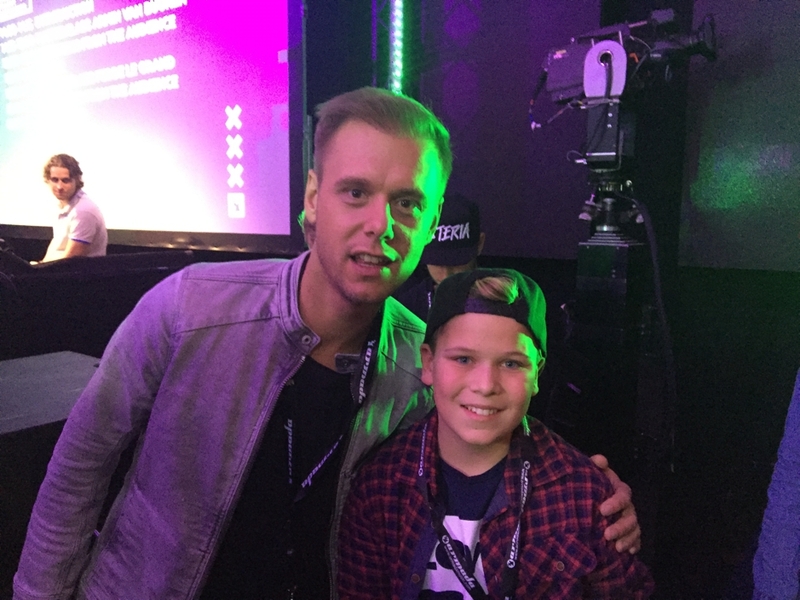 Dj Creeps is a 14yrs old Dutch Dj/Producer and is one of the most youngest Dj’s in the Electronic Dance Music industry. 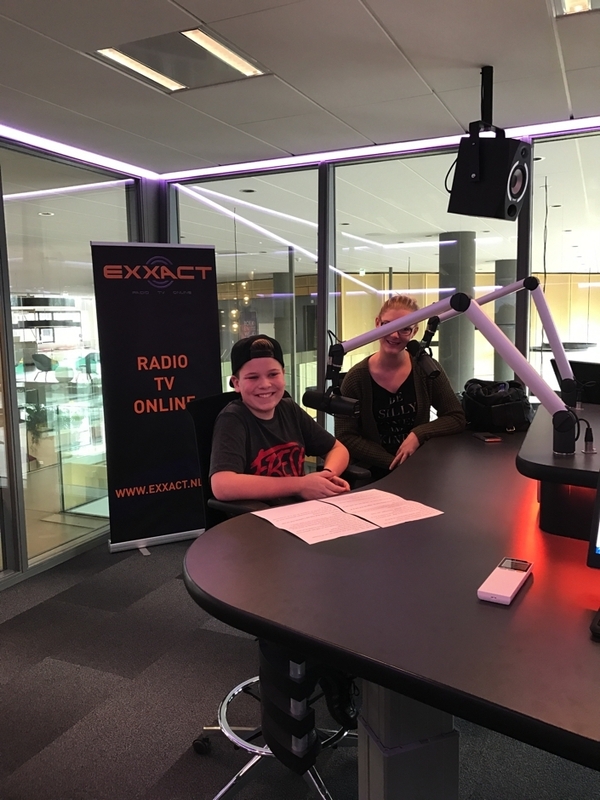 At age of 8yrs, Stefan (Dj Creeps realname) started with Dj lessons from “De Mixmeester”, in his own hometown Barendrecht. After some performances at school party’s he started beginning of 2016 with Dj performances all over Holland in Stores, Private party’s, School party’s, Club’s and Festivals. Dj Creeps is discovered by DenonDJ as a young talent and wants to collaborate and support him with gear and knowledge. During the Dj Contest of the “Kunstbende Zuid Holland” Dj Creeps won (out of 30 Dj’s with an age from 13 up to 18yrs) 1 of the 5 “golden tickets” for the semifinal in Den Haag. The winner of this semifinal will goes to the final of Holland later on this year. Creeps reached 3rd place. 9th of June Dj Creeps was one of the DJ’s who had performed during the Podiumfestival in IJsselstein. He opened the event from 20:00 till 21:00. Dj Creeps have reached, as youngest participant, the final of the Dutch Dj Championship NDJK. 10th of December will be the Final and he is ready for it. Dj Creeps reached the 3rd place in the final. 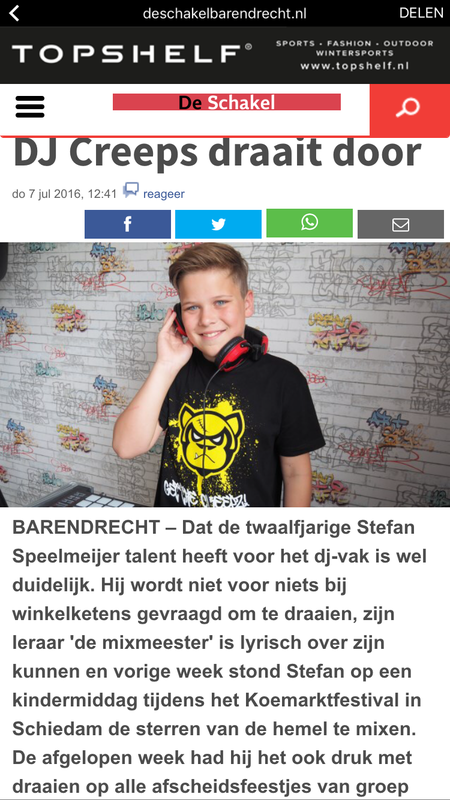 Dutch newspapers like “De Schakel” have already placed several times articles about Dj Creeps Dj career. Every new “step” will be picked-up and be placed. Dj Creeps have his own radioshow on radio LAYZER. He will mix every Wednesday from 19:00-21:00 cet his favorite EDM in a show called “DANCEFLOW” together with his good friend Lusho.